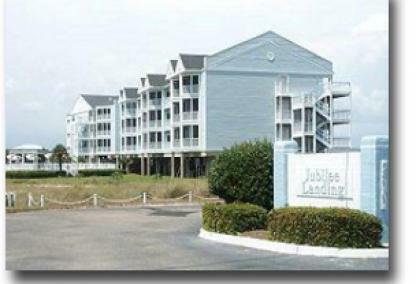 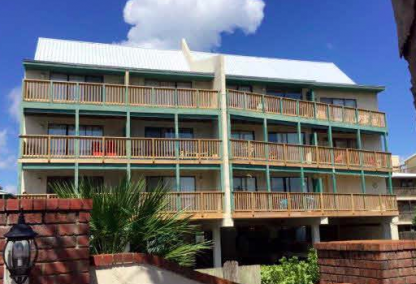 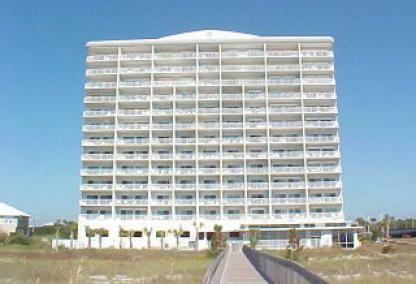 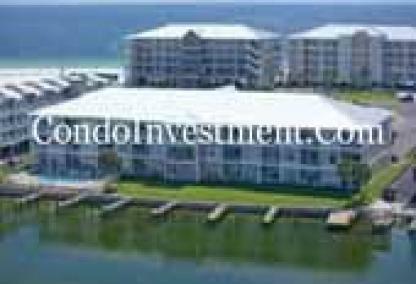 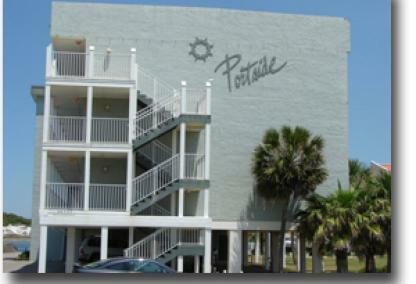 River-front condos in Orange Beach, Alabama are some of the most desirable vacation destinations in town! 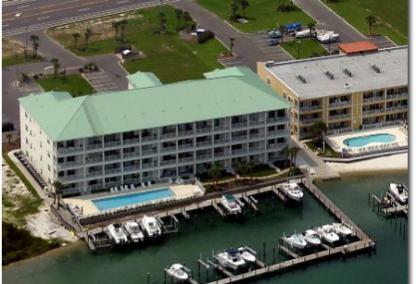 Many of them, like The Pass, have a number of boat slips on the premises where guests and owners can stow boats when they're not sailing around the area or fishing in the Gulf. 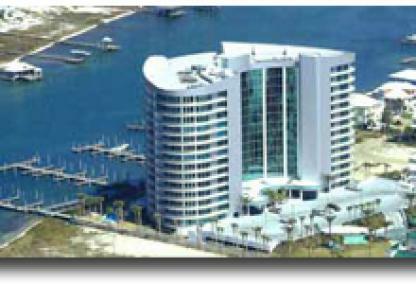 The Old River, in particular, is a popular area for luxury resort condominiums, such as Caribe and Bella Luna. 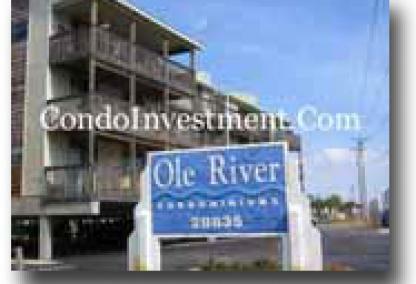 The Old River separates Ono Island from southern area of Orange Beach and part of what makes the area along this river so ideal is that the world-famous Flora-Bama Lounge & Oyster Bar is just over the Alabama state line and looks out over the river. 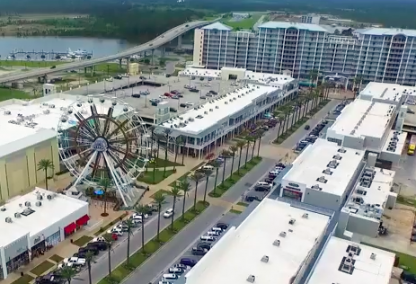 Although Old River is perhaps the most well-known in Orange Beach, one of the most popular attractions and condominiums in the city is actually located on Portage Creek. 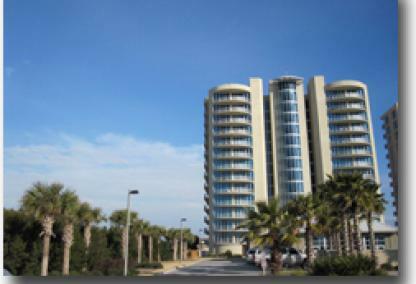 The Wharf is home to a number of condos, an amphitheater, movie theater, and other attractions. 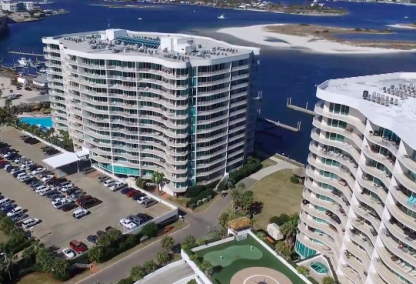 With so many waterways running through Orange Beach, it's no wonder so many residents here like to travel by boat when possible and river-front condos, especially with how many have private onsite slips, make doing so quick and easy.